The new guy got a precious jean jacket (with sherpa lining) that was marked down to $20.99, and cute little boy sweats from $9.97-16.97. Penelope got herself a cool new Panda sweatshirt for $16.99. I can totally use this for her brother once he’s a 2T because it looks unisex. Want to know the best part? Each CLEARANCE ITEM (which is the only place I was clicking that day) was an additional 50% off! So instead of $70 or so– I spent $35 (yes, it’s true–that adorable jean jacket ended up coming out to $10.99 or so–and the sweats–$5-8 each!) 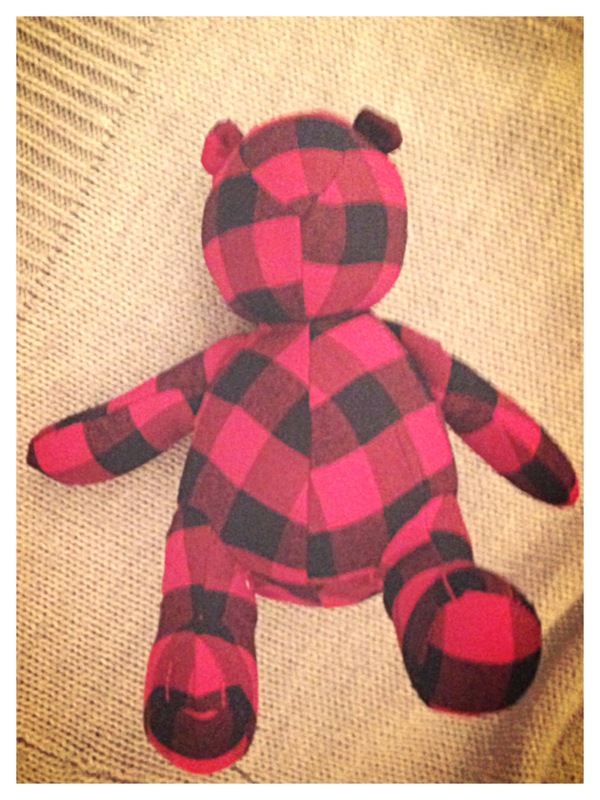 I also got the new guy a sweet little red and navy plaid teddy bear for his new room. GAP will give you a heads up in an e-mail when they are about to have an added sale on clearance. I racked my cart up to $250–but quickly came to my senses, and put most of it back. FREE SHIPPING was included too! The link below will bring you right to toddler girl sales, and if your toddler is a boy–you can simply switch categories…because THAT stuff is also adorbs. …check out “Little Miss Crafty Pants” for a cheap DIY Valentine’s Banner your kiddies will love. GAP! GAP! GAP! TARGET! TARGET! TARGET! Additional 60% off of clearance items at GAP in Men’s/Women’s sections! Who doesn’t want to buy a comfy Men’s sweatshirt to fit over their preggo belly on clearance? Who doesn’t want to buy a comfy men’s sweatshirt to fit over their beer belly on clearance? Add a cowl neck knit scarf that’s marked down to $9.99 (from $39.99) and you can be comfy in something other than your bath robe all day! Let’s face it–SALES are my thing. You can find me where the items are originally $54.99–marked down to $34.99, and then dropped again by another 60% off! To me, clothes SHOULD and always CAN be bought on sale/clearance. Even GAP’s kid section had an additional 40% off sale items. Golden. A Mom can never go wrong with GAP and Target. 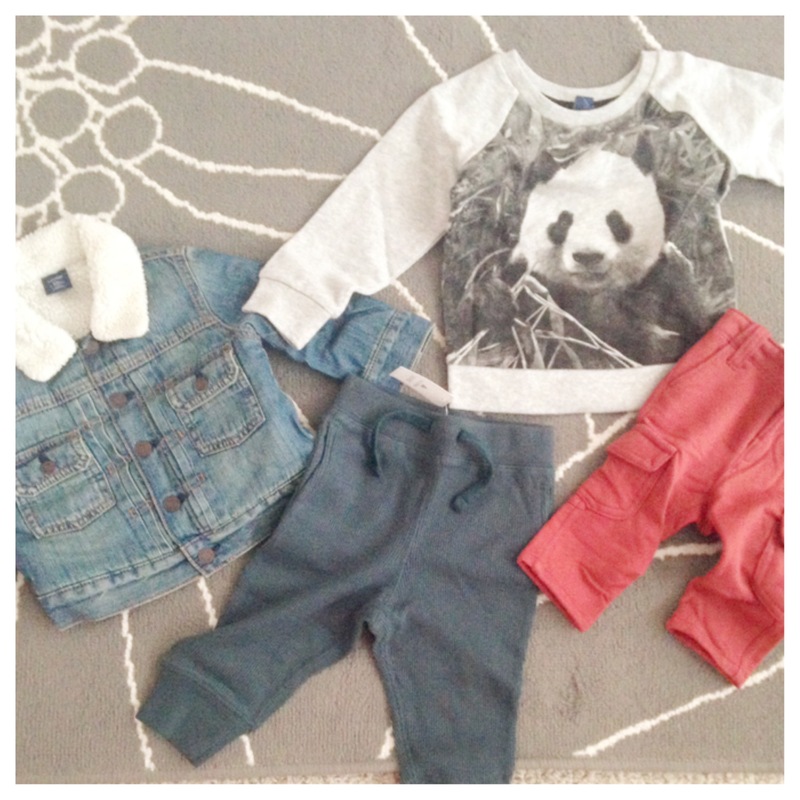 Mommies beware–GAP’s baby/toddler/kids clearance sections can be habit forming. Although, I’d never think of shopping as a habit or an addiction. More of a LOVE AFFAIR or a Hobby–yeah that’s it. Ahhhh…warm and fuzzy. Just like the feelings i get when Penelope throws her toys at me. Raise your hand if you ‘hit up’ Target for their 70% off post-holiday sale! This girl did. Indoor/Outdoor LED lights to decorate the tree and house (for next year) at a whopping $3.25 a box! Friendly for your wallet, and because they are LED lights–your electric bill and your hubby will be smiling too! Large red ball ornament trees– got those on clearance too for a lovely $5/$6 (med/large sizes). Of course, in my head– I’m calculating the cost of simply making them yourself, but in this case–you’re better off buying them! Here’s a tip: If you buy new lights or holiday decor, be sure to get rid of the old shabby lights that’ve lost a bulb or two, and ditch the ornaments that’ve lost their sparkle. (Unless, of course your great aunt bought you them ions ago and you don’t want any family members in tears.) If you don’t go through and weed out the old junky decorations each year, you’ll end up with TOO MUCH STUFF. Boy, do i know about STUFF. Decor hoarding post to follow… (ha!). Can’t wait to put these two cuties out next year! Oooo Deeee I love those trees! I wish I was a bargain shopper like you and your mom! Thanks for the tip – going through all the old Christmas ‘stuff’ and tossing or donating! You are the bargain shopper! Just like your mom!